With a production capacity of one million tonnes per annum, Ohorongo Cement requires roughly 20 million bags per year for packaging their standard 50kg units. This indicates that the cement manufacturer is a significant consumer of packaging material. Ohorongo has imported its cement bags since 2011 when the cement manufacturer started operations at Saarberg near Otavi. Realising that the sheer volume of cement bags used per year poses a significant opportunity for a local manufacturer, Ohorongo started talking to a local company, Kaptau Packaging, in 2013 to lay the groundwork for the local manufacture of cement bags. Kaptau Packaging is a Namibian-owned company that designs, develops, manufactures, supplies and recycles a range of paper packaging solutions. Extensive test runs produced the desired results with the effect that larger quantities of locally manufactured cement bags were introduced in Ohorongo’s standard production output during 2017. 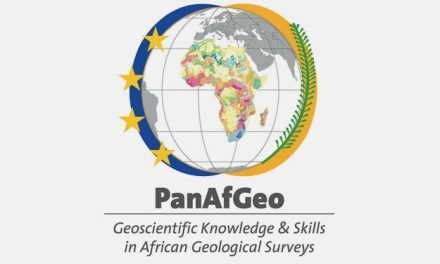 The results were so encouraging that the two parties cemented their relationship with a formal agreement signed this week. This follows on the success of the 2017 trials with 1.2 million bags supplied to Ohorongo to date. 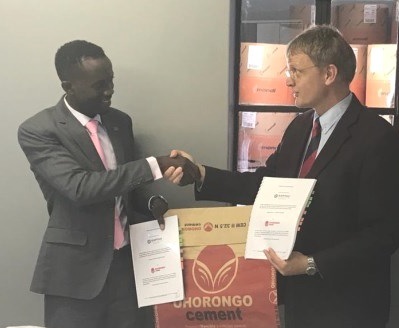 This week, Ohorongo’s Managing Director, Mr Hans-Wilhelm Schütte and Kaptau Packaging’s Executive Chairman, Mr David Namalenga, signed a Memorandum of Understanding, setting the foundation to increase the local manufacture of 50 kg cement bags at Kaptau’s Oshakati factory. 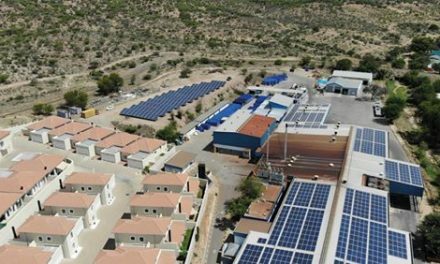 “Ohorongo is proud to grow the local economy, by developing the Namibian manufacturing sector as well as strengthening the economy through the creation of new industries, technological intervention, skills transfer, capacity development and employment creation,” said Schütte. “We at Kaptau Packaging are proud to create value-added jobs by replacing imports of packaging material,” said Namalenga. Caption: Paul Endjala (left) the Managing Director of Kaptau Packaging and Ohorongo Cement’s Managing Director, Hans-Wilhelm Schütte, shortly after the two companies signed an agreement for the supply of locally manufactured cement bags.